Jimmy Alexander (1972/1973/1974/1975) - Jonesboro Arkansas I was a Yeoman in VXE-6 on the Hill . Wayne Anderson (1973 - 1976) - Chadron, Nebraska What an adventure!!!! Think about that time of my life often, wouldn't trade it for the world. Was an AS, worked the Strip and Hill; was also Para-Rescue. Was on 320 when it crashed at Dome C and was part of the salvage team for 329; really miss the crew from down there. Terry Baker (VXE-6 / Helo Crew - 73-74 74-75) - Hooks Texas Would like to hear from any of the " Max Pax Max Trash Max cargo" crew. Mark A Balue the Penguin painter (1979-1981) - Stanton Worked line Maint. on the ice and corrosion control in Ch-Ch. Painted Penguin's on Aircraft and hit all visiting A/C that parked over night. MAB 80/81. Below them. I notice they did repaints and keep the Penguin on the nose. Tom Budde (1973-76) - Olde Davenport Road, La Motte, Iowa - Witnessed 129 nose ski crash at dome Charlie. Unique flying. Anyone know where Jim Wisehart is? 563-543-5361 cell. AMHC Willie C Barr (Flight Crew - 1971-1974) - Woodbridge VA. 22291 I retired from the Navy in 1978. Jack Bazydlo (1975-1978) - Clifton Park, New York I miss the beer in ChiChi, and the opportunities to learn talking to the scientists about their research, going to the Kiwi hut, and of course the Dirty Duck. I'll be happy to hear from anyone from any time period. 70-74 in the GSE shop on the hill. Gary Bogue "Bogee" (VXE-6 Rhode Island - New Zealand, 1969-71) - Cornstalk, Ia C-130 mechanic ,me ,bogee.....butchee boy (Frank Pignatari) E-5........E6 boss Joe Lamarou..Rhode Island, New Zealand....I never went to the ice oops. Partied way too much. We all had cars in New Zealand ... Wonderful time of our lives! Larry Bumpus (1977-1979) - Oxnard AKCM Larry Bumpus would like to hear more from loadmaster Vogel I cannot address your retirement grade as I do not know but i remember you when I first checked into the squadron in first lieutenant with you and Swinney hope to hear from you on future Puckered Penquins events and especially the McMurdo events take care shipmate. Jim Chock (1971-1976) - Hortonville was an "AK" and the first to make the trek from NAS Quonset Pt. to Oxnard Ca. Gene Cordova (1973 to 1975) - San Diego Enjoyed VXE-6. Was on recovery team for 320 and 329. William Crawford (VXE 6 - 1977-1980) - Casa Grande AZ USA Powerplant's bad time for engine failures Ribbon for rescuing Ruskie's DC-10 crash on Mt Erebus The pole was a cool place to visit but would not want to live there 501's for Vodka Boot's. Don't eat the yellow snow It could be Jet Fuel. Doug "Cookie" Crouse (74-79) - Wildomar Ca. I was a cook and worked all of the spots. The Hill, Willy Field, South Pole and Byrd Surface Camp. What a adventure. 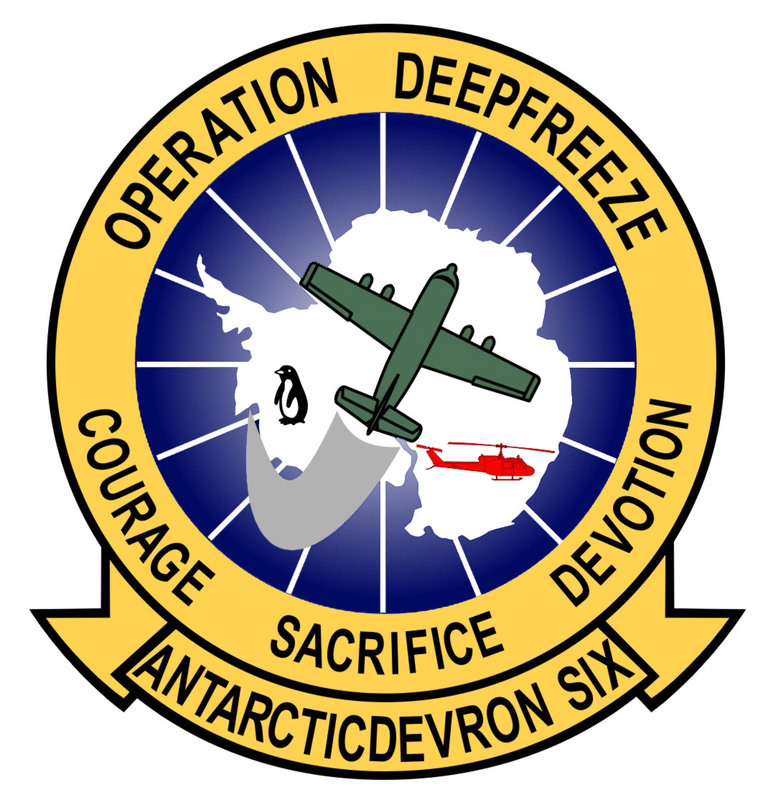 Robert Doc Dobie Le Van (VXE6 Helos, 1977, 1978, 1979, 1980, 1981, 1985) - Arizona Enjoyed the ICE, was even looking into going down recently doing work. Favorite stories of life came from the ICE. Outlying camps were the best. Beardmore, NVL, Ellsworth Darwin Glacier, miss the banana sleds . Mike "Bubba Drewski" Drew (1978-82) - Redondo Beach, Ca. Caesar Eudave (1977) - Austin Texas I was leading scorer in basketball championship as seen in the "McMurdo Sometimes" January 29, 1978. Worked on UH1-N model helos in support of NSFA. Michael Ferchland (1975-1978) - Springfield Oregon Most vivid memory. Sliding down the backside of Observation Hill, and making it to the bottom intact. Then observing someone else doing it and breaking their tailbone half-way down. I guess he wasn't as stoned as I was. It was my birthday. Bill Harder (VXE6 - 1970, 72) - Port Hueneme Ca. USA - Was in VXE6 from Feb.1970 to Oct.1972. 1st year was at Williams field in cargo. Had a blast, great stories. 2nd year was in CH-CH in Maint. Dept as an AZ. Married a Kiwi girl. Still with same 46 years later. If wasn't for Deepfreeze never would have met my wife. Jerry (Waylow) Hernandez (76-80) - Covina, Ca. Remember Christchurch NZ, white heron, and of course the Ice. 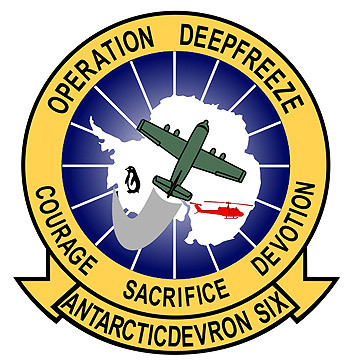 Was AMH3 C130's Remember close friends Danny Garcia (loadmaster) Bill Howard AD4, Hey guys rec'd email from one of our CMDR's that any connection with the flight of that DC10 that crashed into Mt Erebus that we can be up for unit station from New Zealand if you email me I can give you that info. I would love to go back for a month or so. We ate good didn't we?? Larry Hunter (1969-1973) - Griswold Connecticut - Arrive VXE-6 as PN3. 69-70 & 70-71 summer support on hill. 71-72 Det CH CH. 72-73 Det Quonset. Belong to OAEA NE. Good to see old shipmates. Look forward to reunions. Robert Kirk (Pigmy) Hyndman (VX-6 1963-1967 VXE-6 1971-1975) - Kingsville, Texas Aircrew 148318 1965 and 148319 1965-67. Departed in bad shape as AMH2 and moved up from there. Neil Killion (Rotten Ralph) (VXE-6 C-130 Load master, 1976-1977) - Corvallis Most fun I ever had with my clothes on. Rod Jenkins (Years: 1977/78) - Nipomo, Calif.
Don Leger (1971-1973) - Natick, Massachusetts USA Served with VXE-6 at Willy Field as chief operator of KC4USX amateur radio station, summer support 71-73 It was an honor and thrill to have walked in the shadows of the giants of Antarctic exploration. Lorenzo Loren Moreno (VXE6 - 71-73) - Kennewick, Washington McMurdo galley 71-72 summer support. Williams Field 72-73 summer support airframes shop. AMS E4. Rick McWhirter (1978-1982) - Abilene Texas Had a lot of good times and made s lot of life long friends. Kent B Marshall (1977-1981) - Melbourne GSE. ASM Lots of great memories. Larry Neureither (1979-1981) - Simsbury, CT Served as the dental officer for 2 deployments. Was there for the DC 10 crash my first year. Lots of good people and memories. Michael Patterson - Pat (VXE-6 loadmaster- cargo yd. - 1970-71) - Guntersville Alabama. Can't believe its been over forty years, how young we were. Bob Presswood (1978/1979) - Boulder Creek California MS2. Went winfly 1978 to Christchurch galley. After 4 months went to McMurdo galley. I ran the hanger igloo during the summer of 1979. I met my wife Jane in CH-CH and we have been married for 35 years. William Preston (1978 - 1981) - McKinney, TX I was an Aviation Electricians Mate back in 1978. Did three tours through New Zealand and the Ice, and loved every minute of it. What I wouldn't give to have those days back. Gregory Raines (VXE6 - 78 to 80) - Epworth Ga. Loadmaster one of my best duty station enjoy the flying on the ice. I was there when the DC-10 crashed. Albert Sebastian (VXE6 - 70-73) - Vancouuver Wa. - ABH1 Flight crew loadmaster. Transfer just prior to move to Pt. Mugu, retired from navy 1980. William (Bill) Thompson (1973 - 1976) - Excelsior Springs Mo Ran KC4USX a lot of phone patch back to the states. Roger Turner (ASA - W/O 1971) - Dummerston, VT I was the cook at the Amundsen Glacier field camp - must have been Dec 70 / Jan 71. Had a great time there with the VXE6 crew and the boys from Ohio State U. When I got back to McMurdo, I wanted to go to the Pole and was told I couldn't. So I went to our VXE OIC from Amundsen and asked if he could get me on a plane. He asked me if I could get him a case of steaks. We helped each other out. Was anybody at Amundsen that season? Paul "Paulie" Walters (1970 - 1973) - Lake Elsinore, Ca Served in VXE-6 from 6/70 through 3/72. Served two seasons on the Pole. First season served in the Cargo Yard loading C-130's. Second year was a plane captain/crew chief on the UH-1N. I was a jet mechanic ADJ-3. George Wood Jr. "Woodeye" (VXE6 - 1968-1970) - Vancouver WA, USA - The ice is nice but CH CH is peachy. I am a lifetime member of OAEA and VX6/VXE^ Association I flew aircrew on the ski hercules LC130F/H models. The Antarctic is the last frontier so lets protect it. Al Yoas (1971-1974) - Dallas, Texas I was an Aircraft Electrician & crew member of Hercs including the last flight of 917 at Pole Station.